Piano Wood Paperweight. No icon is as synonymous with success as the simple star. 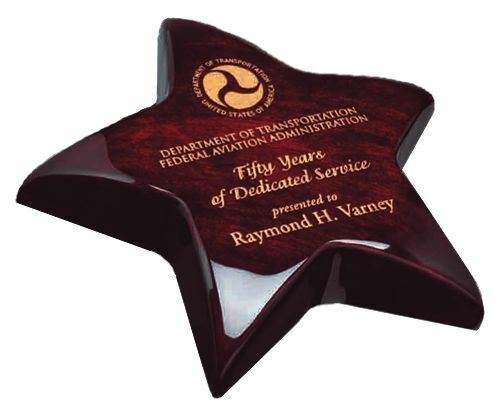 The rich rosewood stained piano wood Star is laser engraved and gold filled - acknowledging your top performers, allowing your stars to shine!